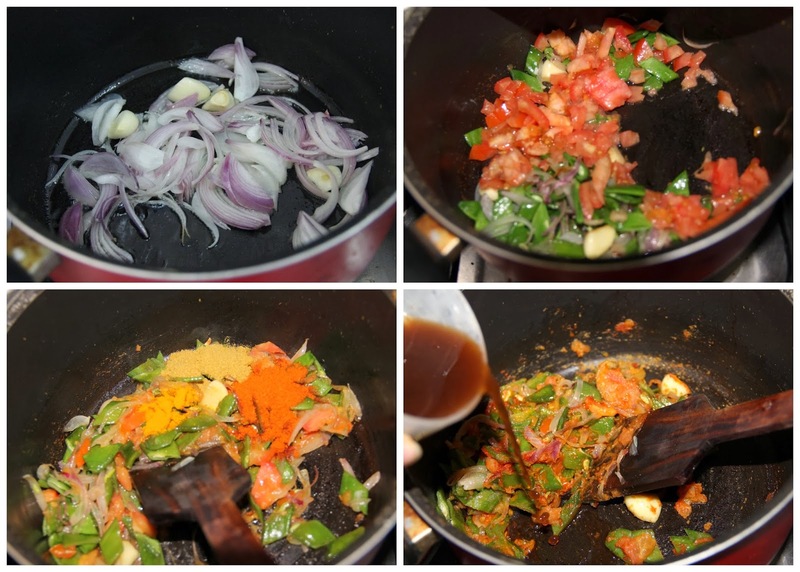 Flat Beans Sambar is an authentic Tamil Nadu recipe. In most South Indian homes, sambar is a dish that finds a place on the meal table almost every day. Its a simple recipe that provides our daily dose of protein without much effort. 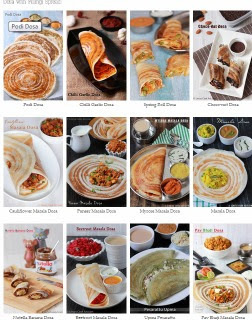 Everyone knows that although,Chennai is ever so popular for its Sambar but, almost every region in the South has its own adaptation of the recipe and the variations are endless. Each Single vegetable sambar gives different taste and you have a completely different flavor profile to relish. Though flat beans are leguminous vegetable with toor dhal it adds to your sambar double protein power. The flavour of this flat beans goes well with sambar and makes your meal whole & delicious. Pressure cook the toor dhal with turmeric powder (on medium flame till 3 whistles). Open the cooker once the steam is released. Pour two teaspoons of oil in a pan and add the onion and sauté till becomes soft. Then add the garlic and cook for a minute. Then add the tomatoes and cook till it starts to become mushy. Now add the chopped flat beans and sauté for two minutes. Then add a cup of water and salt; close the lid and allow to cook for 5 minutes. When the flat beans are almost cooked, add the turmeric, chilli powder, coriander powder, sambar powder and tamarind extract; allow to boil this mixture till the raw masala smell and the raw smell of tamarind leaves. 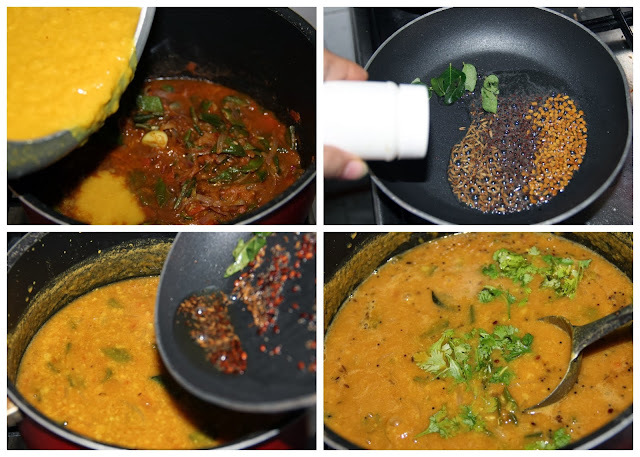 In a separate pan pour two teaspoons of oil and add mustard seeds, fenugreek seeds,cumin seeds. When mustard seeds crackles and fenugreek seeds turns slight brown colour add the curry leaves and switch off the gas and add asafetida in that hot oil. Note: After adding tamarind water allow to cook the sambar well till the raw taste of tamarind leaves. Lincy your sambhar is looking so delicious.. 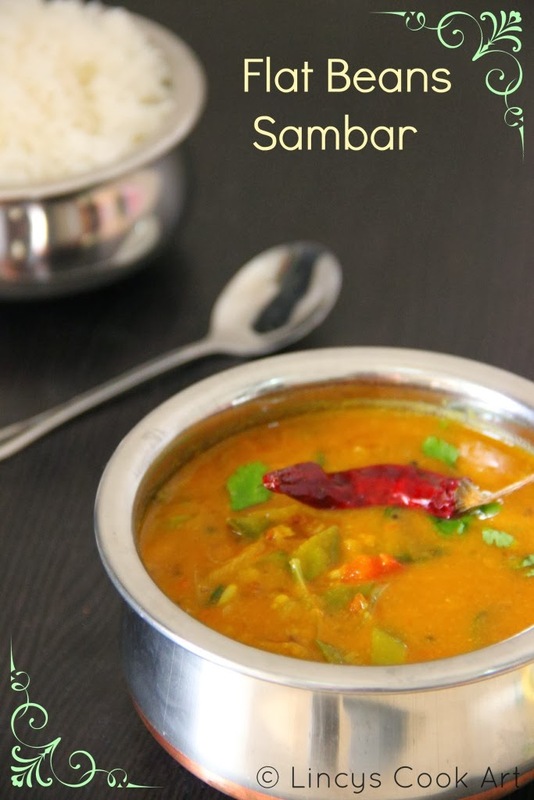 Delicious and flavorful Sambar.. Looks inviting!